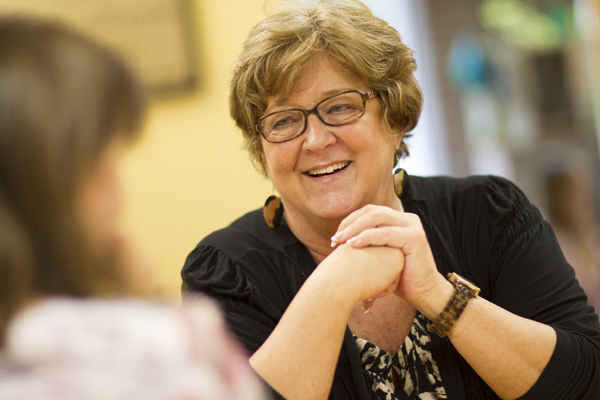 The School Counselor at Triangle Day School offers individual student counseling, small group counseling, and delivers a counseling curriculum to both Lower School and Middle School students. Faculty, parents, and students may refer students for individual counseling. The Counselor encourages students and parents to make appointments during appropriate blocks of time. Small group counseling occurs with 2nd through 5th graders and 6th through 8th graders. Students are surveyed to see what topics they would like to discuss. Themes include help with time management and organization, social issues, and more sensitive topics like divorce and dealing with loss of a loved one. These small groups meet once a week during lunch for 4-6 weeks. The components included in the counseling curriculum are academic achievement, personal & social growth, character development, and career exploration. In Lower School, this class is called Reflections. The Counselor visits every classroom a few times a month to engage the students in an age-appropriate lesson involving the counseling curriculum. In Middle School, this class is called Transitions. In this class, the Counselor meets with all 6th graders in a classroom setting every week. In 7th and 8th grades, teachers integrate parts of the counseling curriculum into their classes. For example, in Language Arts, students read 7 Habits of Highly Effective Teens by Sean Covey. In 7th grade Social Studies, students research many aspects of a potential career, create a final project, and present it to the entire class during Career Month in February.